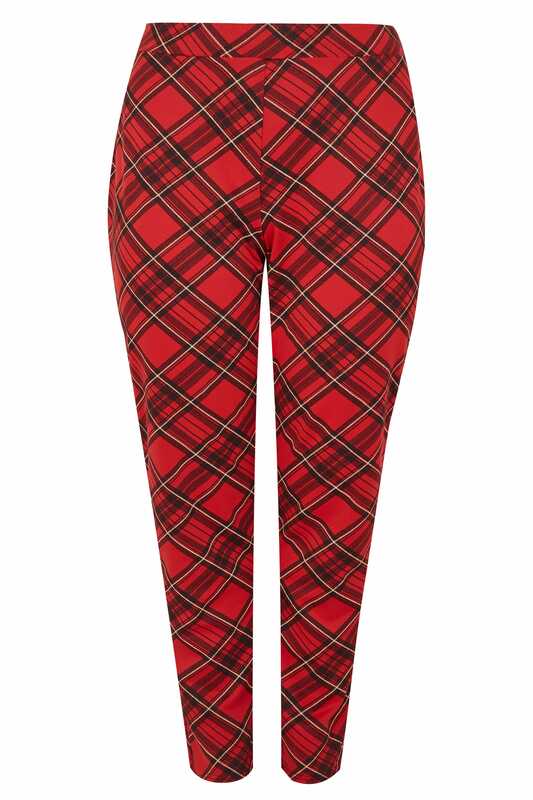 Inner leg length from (approx): 70cm/30"
An AW wardrobe winner, these jersey trousers are sure to earn you serious style points. 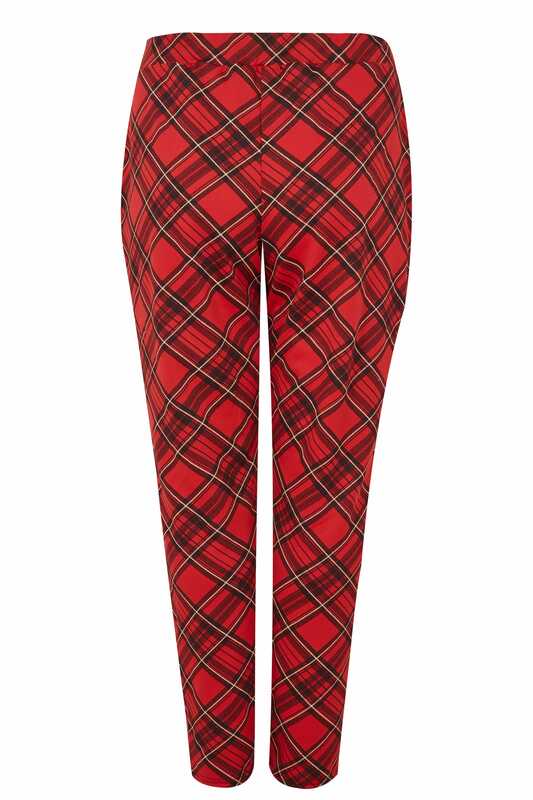 With an all-over tartan print, they feature an elasticated waistband for a comfortable fit. 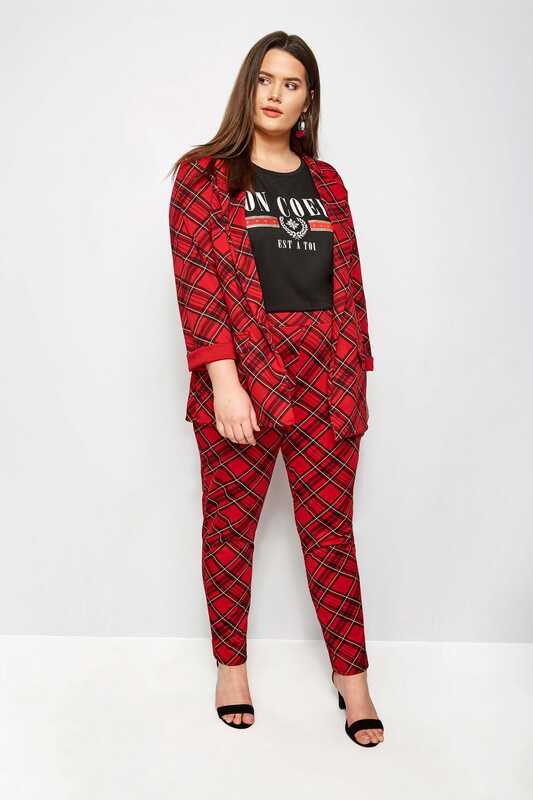 Whether you're dressing down with a slogan jersey tee, or smartening them up with heels and a blazer, they are sure to be your new favourite bottom of the season. 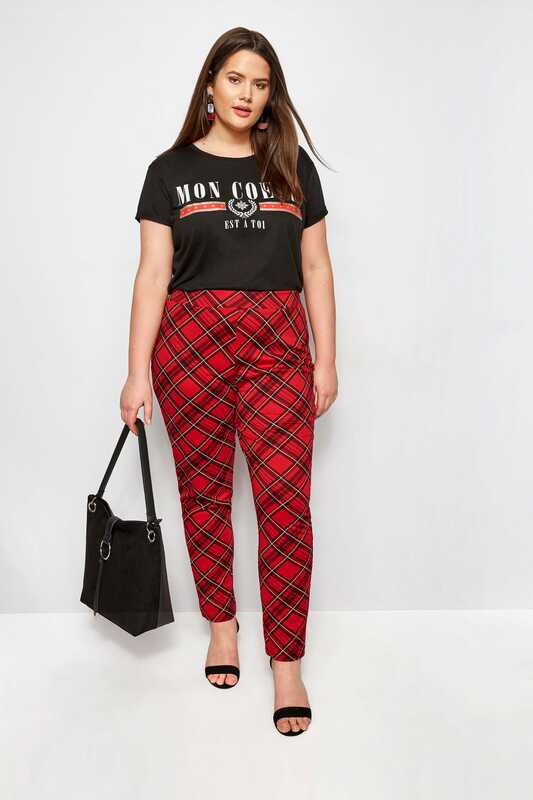 You can tick checks off your trends list.